Here we are at the early aftermath of a long awaited election day. The 25th of october 2013 regardless of the results was a momentous day for Madagascar. 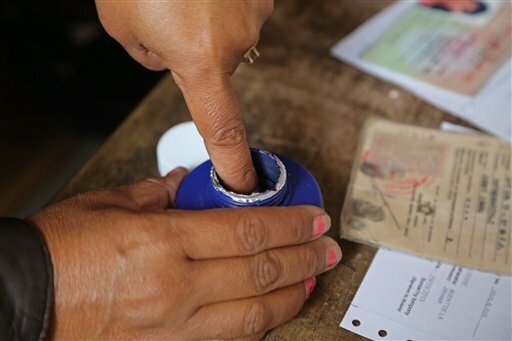 7,8 million Malagasy citizens to elect their new President amongst 33 candidates. The elections went on smoothly without any major incidents other than disturbance caused by the infamous cattle robbers. Particularly, one attack in the South Ranotsara in the district of Benenitra which temporarily disrupted the elections. But order was quickly restored according to reports by the independent national electoral commission (CENIT). The CENIT announced the latest results at At 5 45 am: Ravalisaona Zafisolo first in line, Rajaonarimapianina Hery Martial runner up and Rabeharison Roland Dieu Donné (Vahombey) third. Many, but not all believed an election was a way out of the bitter 4 years of transitional government. Still on the eve of the elections Andry Rajoelina, President of the transitional government, in a poised and calculated manner reminded the country of the importance of a devoted leader to Madagascar. Ironic, when the last 4 years led to a rapid economic downturn result of an endless struggle for power between opportunistic political leaders. End of a transitional government perhaps. Unfortunately, it was marked by greedy, selfish leaders who damaged the political, economic and cultural state of the country. Malagasy people have been denied their basic economic, social and cultural rights. Needless to say, the new President will be faced with a population anxious and impatient for change. Change in almost every aspect of their lives. Madagascar’s political life is undergoing another turning point, dragging along with it hopeful Malagasy. Anticipating for brighter days to follow. Wondering whether this is the beginning of a constitutional order.